We all know the therapeutic benefits of an evening of cocktails with your nearest and dearest, but a cocktail weekend? Sign me up! If you could design your most fabulous cocktail weekend, this would be it. 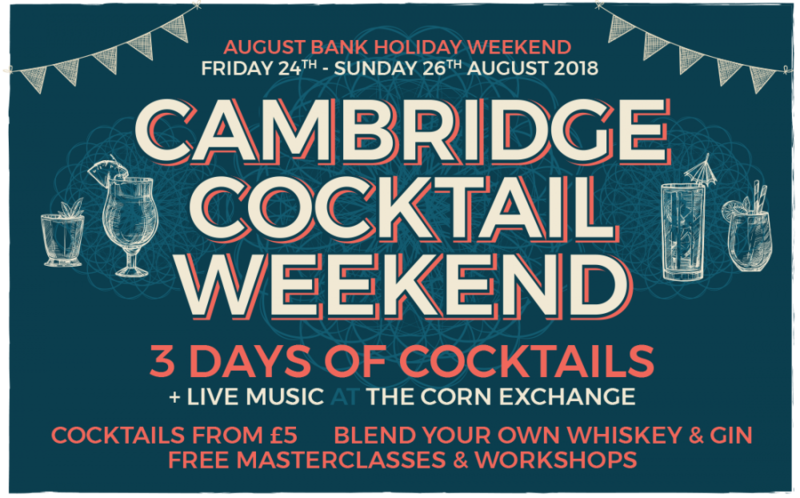 Take the best cocktail bars in Cambridge, your favourite drinks brands, great live music, and (almost) every cocktail under the sun, mix them all together inside the Cambridge Corn Exchange and serve with a fantastic party atmosphere for the ultimate bank holiday weekend celebration. Cambridge Cocktail Weekend is designed to celebrate the great cocktails and bars that Cambridge has to offer, alongside some of the global spirits superstars all showcased in one room. 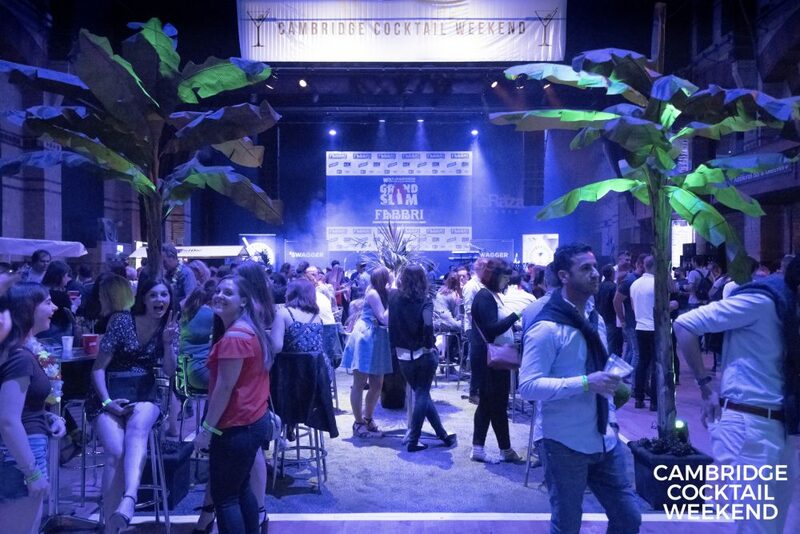 Every year the Corn Exchange is filled with pop up bars where revellers descend in their thousands, enjoying cocktails, partying and dancing until late to brilliant live bands. 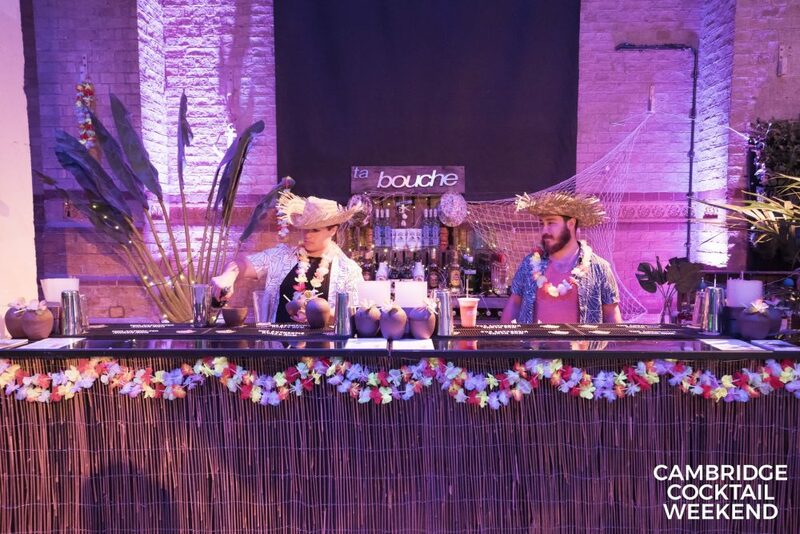 This year looks set to be the biggest and best yet with a three-day extravaganza of fabulous cocktails, bars aplenty, and the best in music and entertainment. 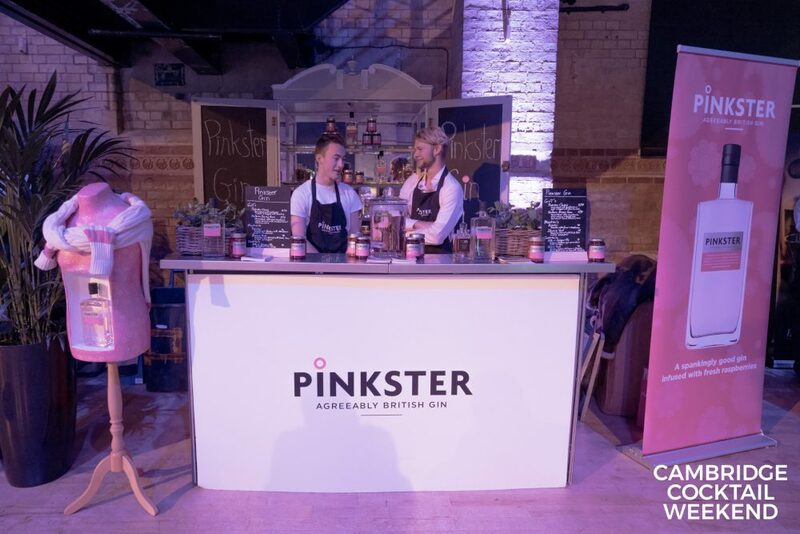 There will be a range of fun activities like cocktail masterclasses and demonstrations throughout the day too (many of which are free after the cost of the cocktail). Most importantly though, there will be over 50 cocktails to choose from including premium spirit cocktails from just £5. Tickets are sold separately for daytime and evening sessions. Book your tickets now for this fabulous bank holiday weekend event. 25 lucky Muddy readers will get 25% off tickets – but hurry, discount good for the first 25 only! Just enter the promo code COCKTAILMUD at the checkout. Tickets here.